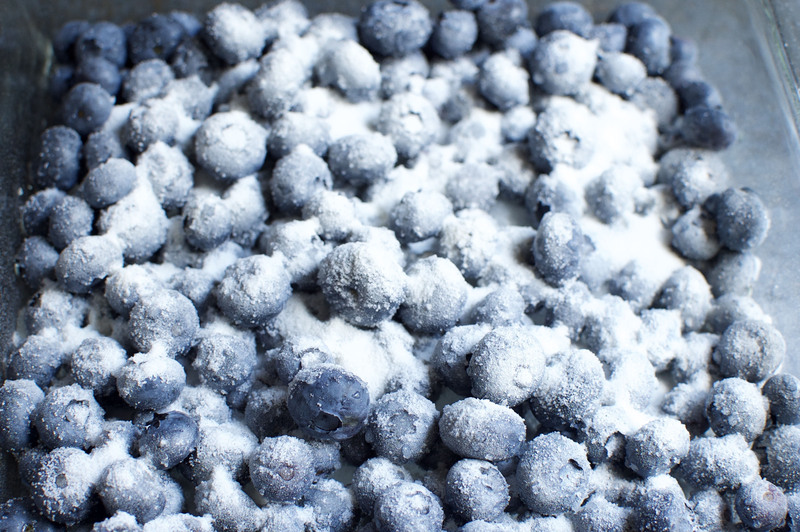 This Low-Carb Old Fashioned Blueberry Cobbler make a perfect summer dessert. It works for low-carb, ketogenic, Atkins, gluten-free, grain-free, and diabetic diets. I grew up with cobblers in the summer. My mother made all kinds of cobblers depending on what fruit happened to be in season. We had peach cobbler, strawberry-rhubarb cobbler, and huckleberry cobbler. My favorite was the huckleberry cobbler. 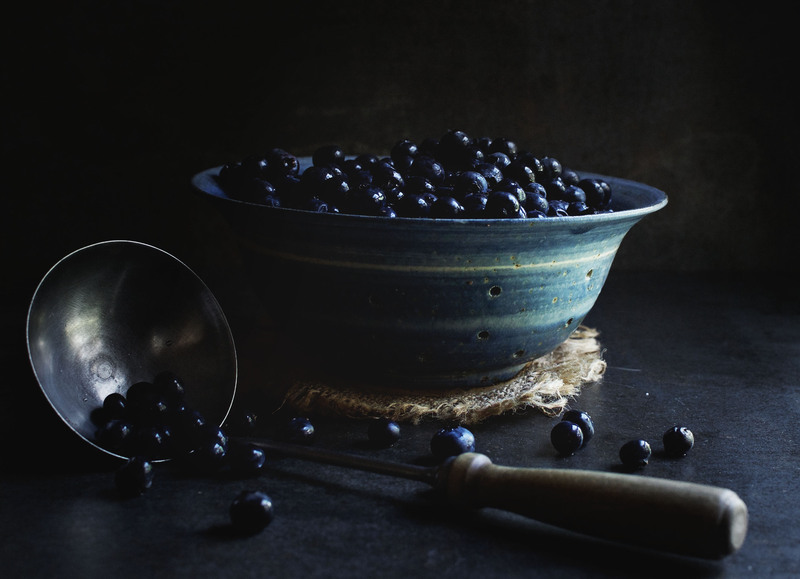 Huckleberries are closely related to blueberries. They look very similar, but are smaller and the flavor is a bit more concentrated than our domesticated blueberries. They grow wild in the mountains of Pennsylvania, where I grew up. Every August, we would hike up the mountain in search of the nearly black little berries. When we got to our favorite picking ground, we went to work picking the berries and dropping them into a coffee cans we carried with a string attached around our necks. My mother always had a big coffee can and my brother and I had a smaller version. I loved the sound the berries made as they plopped into the coffee can. The sounds started a a loud, hollow noise, but when the bottom or the can was covered with berries, the plopping noise was softened by the berries below. Of course, I popped as many berries into my mouth as I did into the can. We moved from bush to bush, and one thing that struck me as I nibbled on the berries was how different the berries from each bush tasted. Clearly there were different varieties or flavor differences caused by subtle differences in growing conditions. Some got more sun and some were more protected. While the berries all had that blueberry-like flavor, some bushes were sweeter, some had larger berries, and a few bushes had berries with a tart note to them. While the flavors had tiny differences, all of the berries were delicious. When our cans were full, we trudged back down the mountain. When we got home, my mother went to work to use and preserve the precious berries before they went bad. She froze some of them and made jam with others. We had huckleberry pancakes and huckleberry muffins. Sometimes she served us bowls of them with a dollop of whipped cream on top. 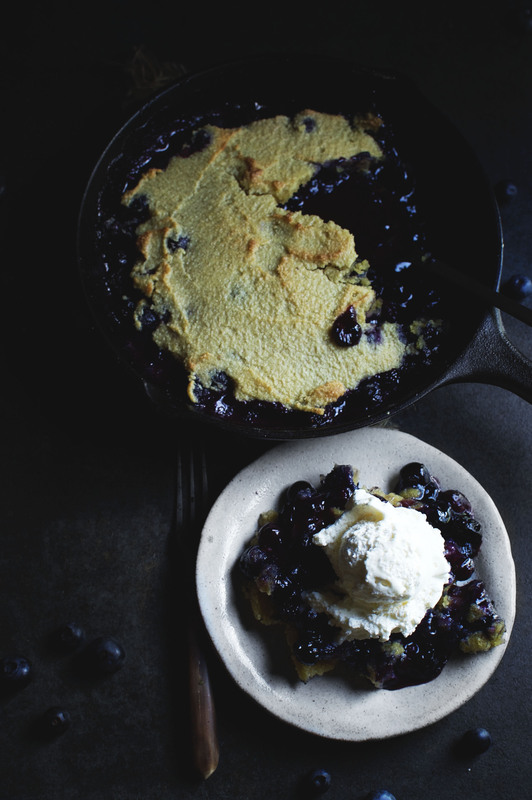 One of my favorite desserts she would make with our harvest was her huckleberry cobbler. She served her cobblers warm and with a dollop of ice-cream on top. 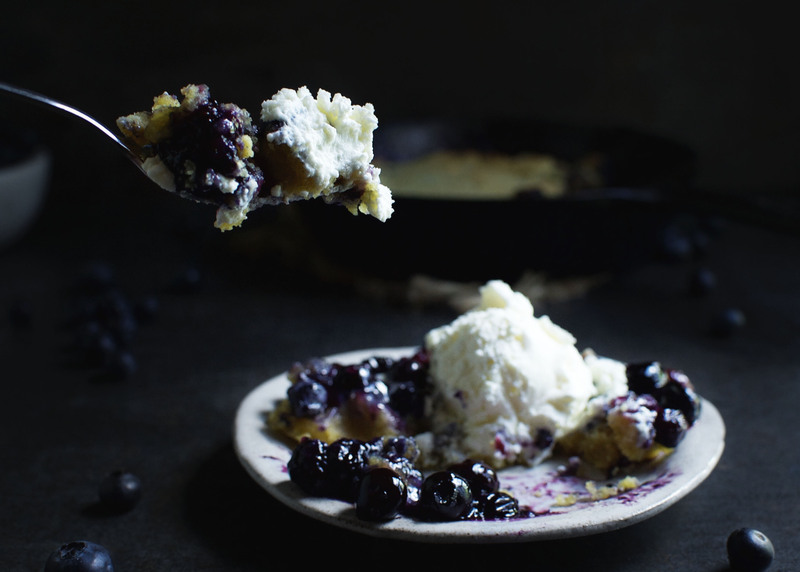 There is something amazing that happens when melted ice-cream combines with huckleberry goodness and a biscuit type topping! 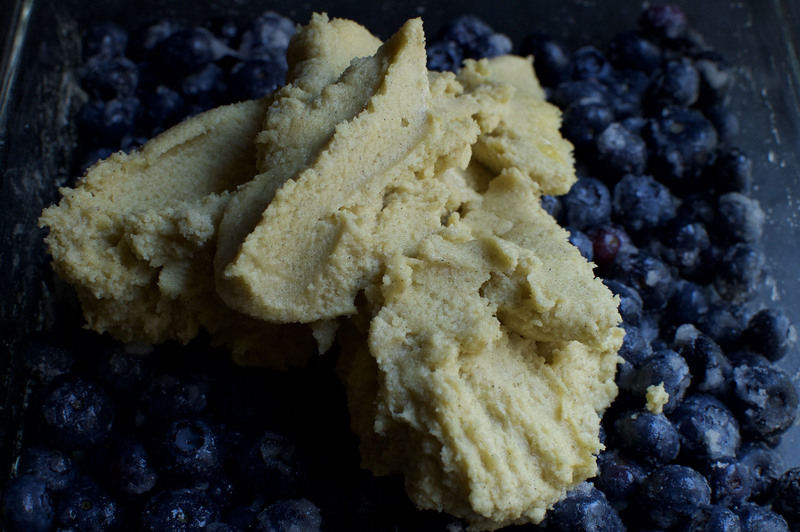 I created this recipe for low-carb-old-fashioned-blueberry-cobbler to bring back memories of my mother’s huckleberry cobbler, without the carbs. I used blueberries instead of huckleberries only because huckleberries are not widely available. 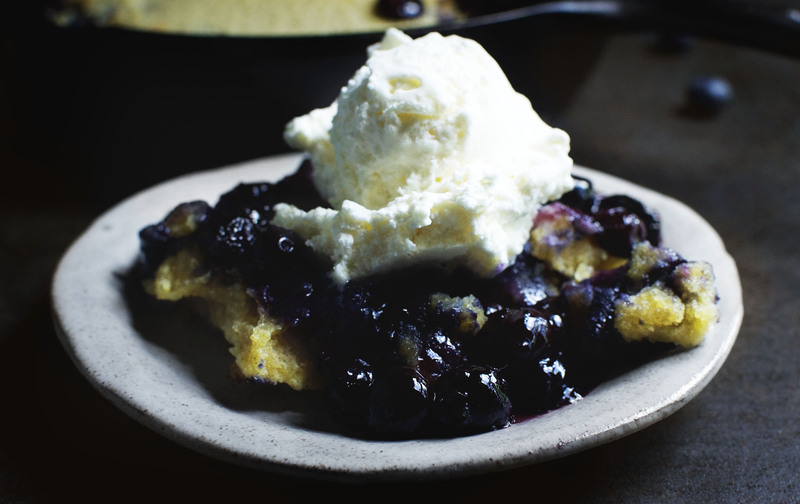 This cobbler has a sweet, gooey blueberry sauce with a lightly spiced sweet biscuit type topping. The topping is an altered version of the shortcake for my Low-Carb Strawberry Lemon Shortcake recipe. When I add some of our Sugar-Free Vanilla Ice Cream on top, the combination transports me back to my mother’s kitchen. 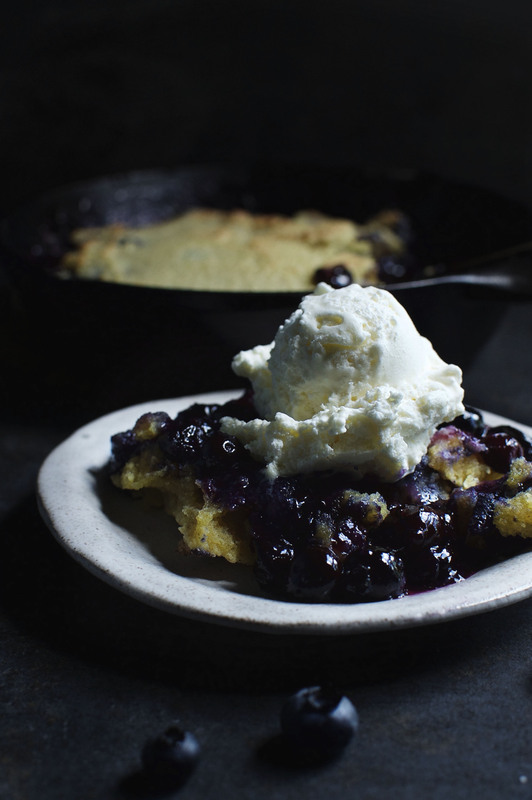 This Low-Carb Old Fashioned Blueberry Cobbler makes a perfect ending to a summer meal. 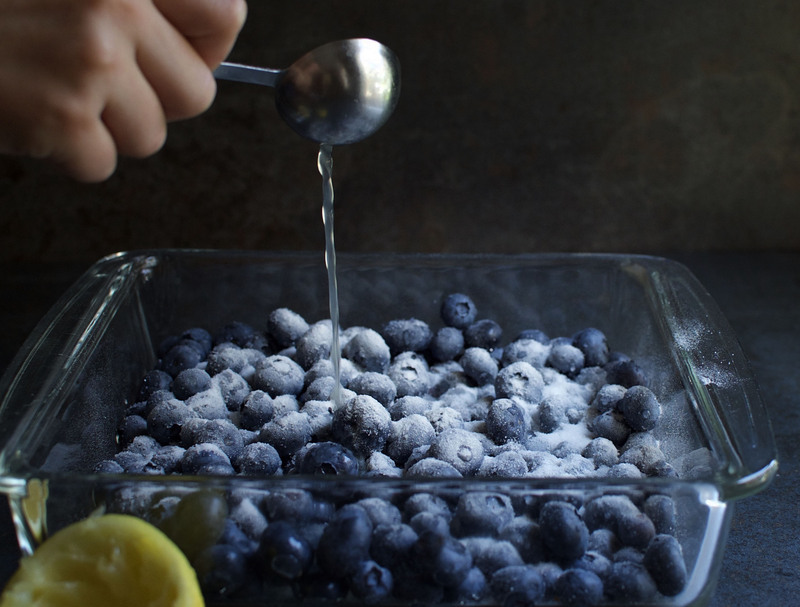 Use those blueberries while they are in season! Enjoy! 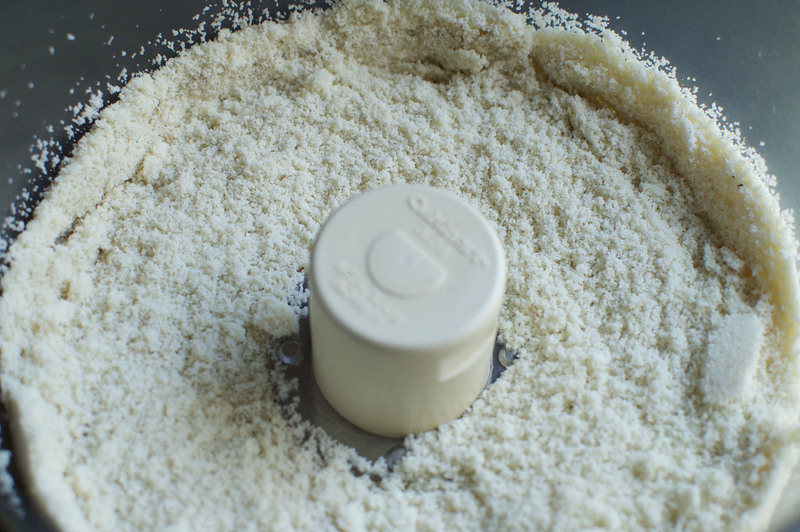 In an 8" x 8" glass pan, whisk together the sweetener, xanthan gum, and salt. Add berries and stir to combine. Stir in lemon juice. Set aside. In a food processor*, add the almond flour, sweetener, baking soda, sea salt, cardamom and cinnamon. Pulse processor a few minutes to combine. 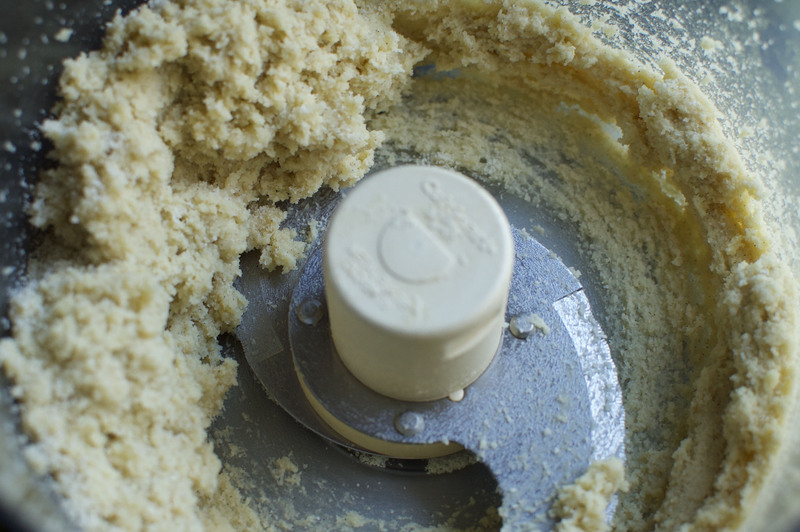 Add butter to the mixture in food processor.Pulse several times to combine. Mixture will appear mealy. Add almond flour, sweetener, baking soda, sea salt, cardamom, and cinnamon to a medium mixing bowl and whisk together. 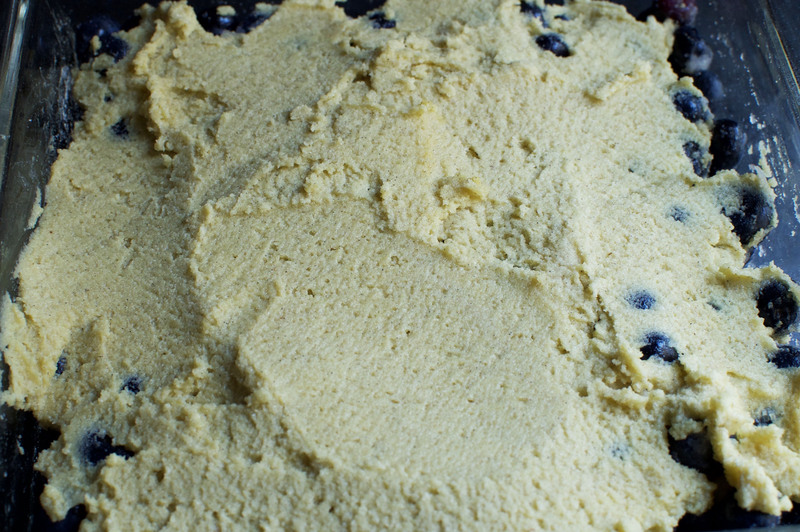 Cut in the butter using a pastry blender. Stir in egg and vanilla. Continue with recipe as written. 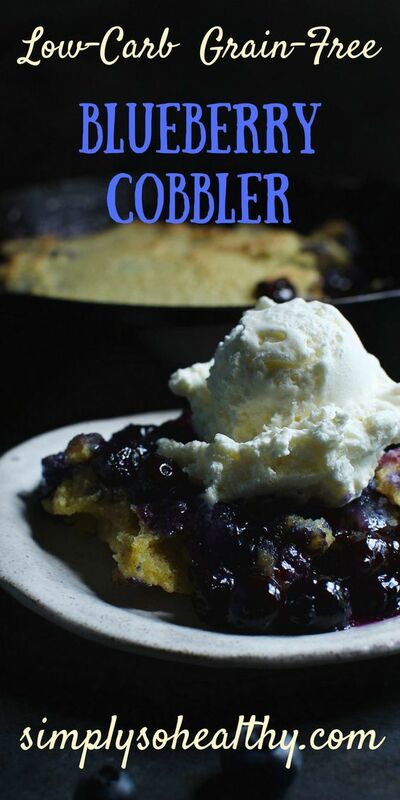 This cobbler is the stuff that dreams are made of or low carb dreams that is! The taste is completely on point with the berry mix and then the topping. Just had with some low carb sugar free mint ice cream, and it was the bomb! You are baking up a storm! I’m glad you’re enjoying our recipes!